Dani with lots of choices to make! 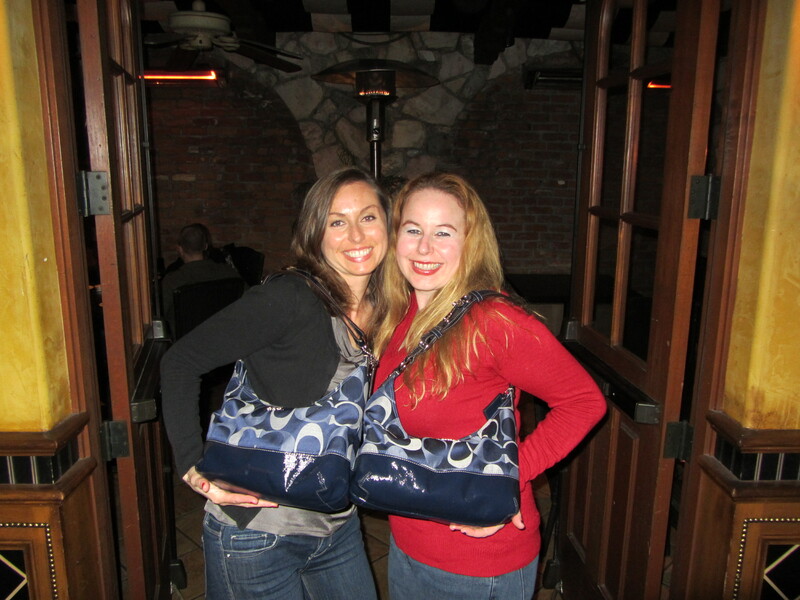 My friend, Andrea & I with our matching Coach Bags..I am honored to have helped her lose her Coach virginity! Which shoe do you like better?? months. I was always a Nine West, Kohl’s, & Ross kind of purse person until I discovered Coach Outlet stores! I would like to say as a deal fanatic, I have never purchased something directly from a standard Coach store, other than the cleaner they sell for $10 bucks to clean certain materials of their product. In regular Coach stores their bags go for between $58 for a small standard cosmetic bag to $1,600 for the most expensive purse. After an exhausting shopping journey at Coach Outlet at Las Vegas Stateline. 30% off baby!! shoes were around $40 and handbags I have bought were between $70 & $180. Something that I find to be super awesome about the Coach Outlet is that not only are bags less than half price, there is also an additional 30% off sale in the outlets at most times! Just recently on my Coach Shopping Journey I bought 2 pairs of shoes and 2 nice size purses and I only spent $320. This was a steal!! I will say that Coach Outlets offer many different products than the regular stores, but they are definitely worth it. There are some great items in these stores and they are always bustling with many customers. If there is one thing I personally learned from writing this article, it is that I have shopped for way too many Coach items in my past and I think it is maybe possible to have too much of a good thing. When we start spending too much money on an item, savings definitely begin to disappear. So…I am glad I wrote this and you will not see me in a Coach Outlet for awhile due to the mass consumption of Coach handbags I have already purchased in the distant past. At least this shows that the bags can last for a long time because I started buying these bags about four years ago and they are all still in awesome condition! Happy shopping! Every Coach bag and wallet I have ever purchased!! You are your mother’s daughter! It’s nearly impossible to find experienced people on this topic, but you sound like you know what you’re talking about! You are so cool! I don’t think I have read through something like that before. So good to find another person with a few original thoughts on this subject matter. Really.. many thanks for starting this up. This website is one thing that’s needed on the internet, someone with a bit of originality! I抦 not sure where you’re getting your info, but good topic. I needs to spend some time learning much more or understanding more. Thanks for great info I was looking for this info for my mission. Thank you Alexandra! Glad you enjoyed my post! Awesome! Thanks for the comment! What is your faborote Coach store? 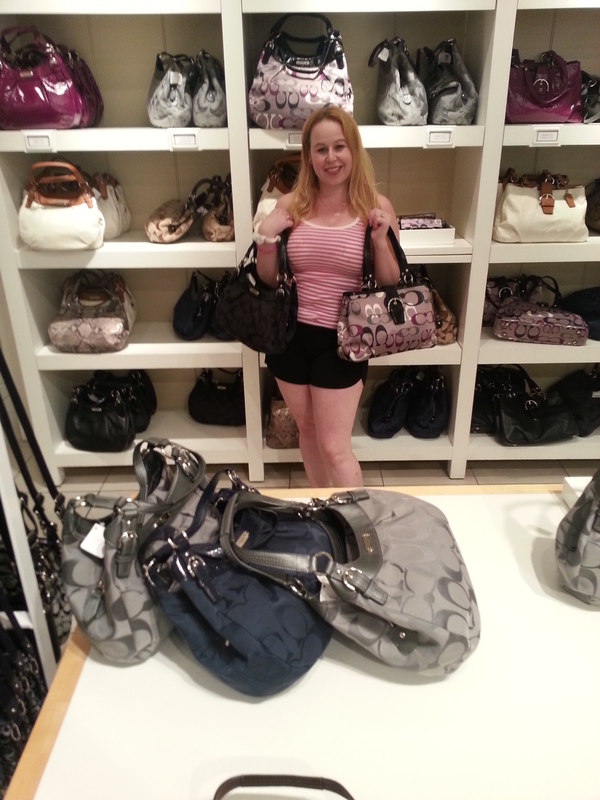 I love everything here Dani, the bags, Coach and the Las Vegas Outlet! It was great to know about your experience I had noticed that the prices are away different than the coach stores! I love your post! 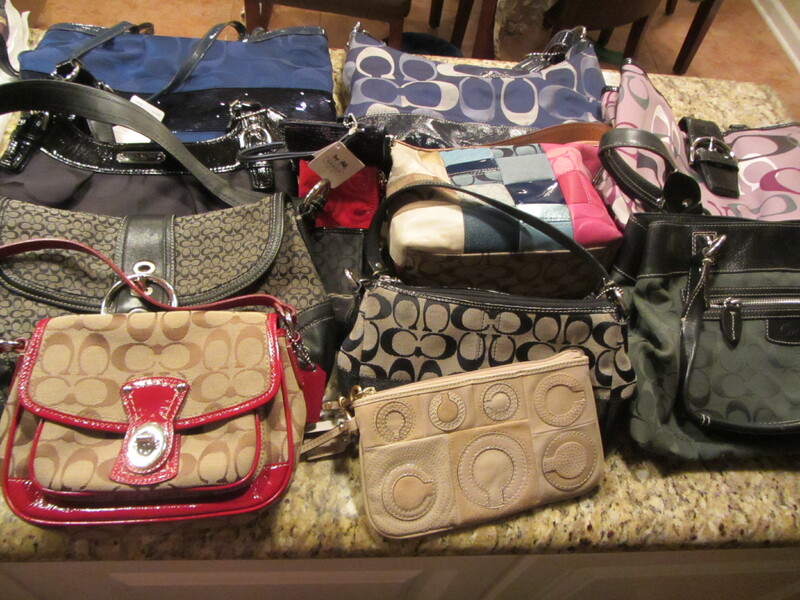 I am happy to report that I want to sell all of my Coach purses! I’ve outgrown them after I had kids and do not have space for them…Where do you think is the best place for me to sell my gently used and authentic Coach bags? Thanks! Wow Dani, you really know how to find the best deals! It looks like you know what you are talking about Daniele! Thank you so much! I am always amazed by all the discounts you can find! You know your stuff…and are willing to share it…thanks!! Thanks for the tips! I have a bag/purse addiction!!! You seem to have so much fun, Daniele with all those bags around you! I used to have lots of bags now I mostly use one until I change it – it’s too much trouble to move all the stuff from one to another and I always seem to forget something when I do that, LOL! You are giving me a broader view of shopping.. I’ve just not been much of a shopper in recent years. Thanks for sharing your experiences. Also, the blog loads extremely fast for me on Firefox. Superb Blog!